We are on about our 70th day of rainy weather this Spring! And yes, I am lame, I turned on my heat this am. 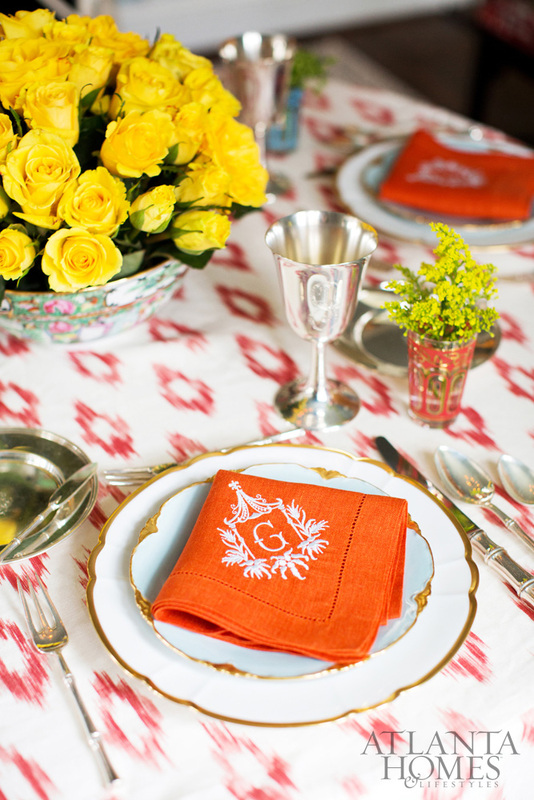 I thought I’d send a little colorful cheer your way with a peek of Mallory Mathison Glenn’s home. They only feature a couple of rooms but I love her use of emerald, aqua and peacock green. (three of my favorite hues) If you know me, my designs and blog at this point you’ll see I’m NOT afraid of color, especially when it is not garish or overdone! 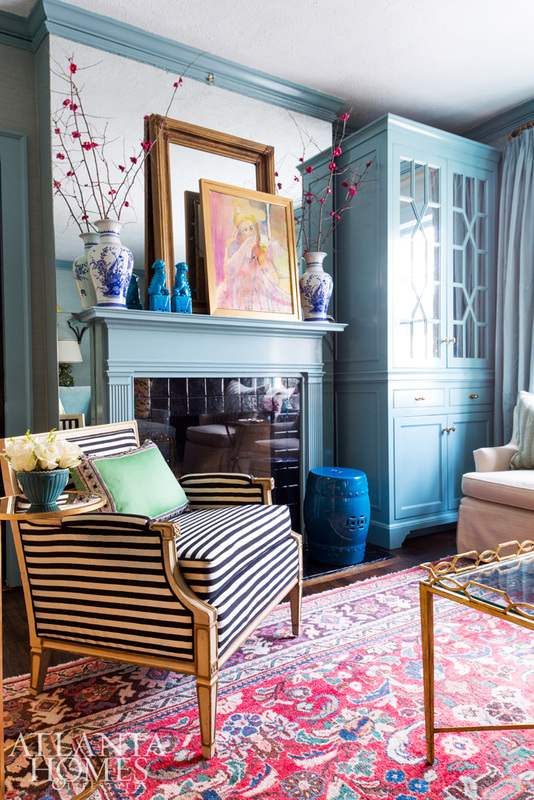 These rooms are fun, colorful and packed with interesting pattern and texture. I too, like Mallory use my home as a bit of a design laboratory. All images via Atlanta Homes Magazine.